With two weeks left till the second US-North Korea summit in Hanoi on Feb. 27-28, the four governments involved -- Seoul, Pyongyang, Washington and Hanoi -- have started moving toward their own diplomatic goals. Minh is most likely traveling to North Korea, officially the Democratic People’s Republic of Korea, to discuss North Korean leader Kim Jong-un’s state visit to Vietnam ahead of his meeting with Trump. Observers believe Kim may arrive in Vietnam around Feb. 25 to visit Haiphong and Ha Long Bay near Hanoi. Kim’s grandfather Kim Il-sung, founder of North Korea, visited Vietnam twice, in 1958 and 1964. As the Southeast Asian country has achieved economic progress through reforms and market opening while maintaining its socialist system, Pyongyang may be planning to play up Kim’s visit there. While North Korea and Vietnam hold diplomatic meetings in Asia, South Korea and the US will hold theirs in Europe. Foreign Minister Kang Kyung-wha is scheduled to attend a minister-level conference on Middle East issues in Poland on Feb. 13-14, organized by the US, followed by the Munich Security Conference on Feb. 15. Kang is expected to meet one-on-one with US Secretary of State Mike Pompeo on the sidelines of the multilateral talks to hold last-minute discussions on negotiation strategies for the North. Next week, US Special Representative for North Korea Stephen Biegun will meet with his North Korean counterpart, Kim Hyok-chol, for a second round of working-level talks. 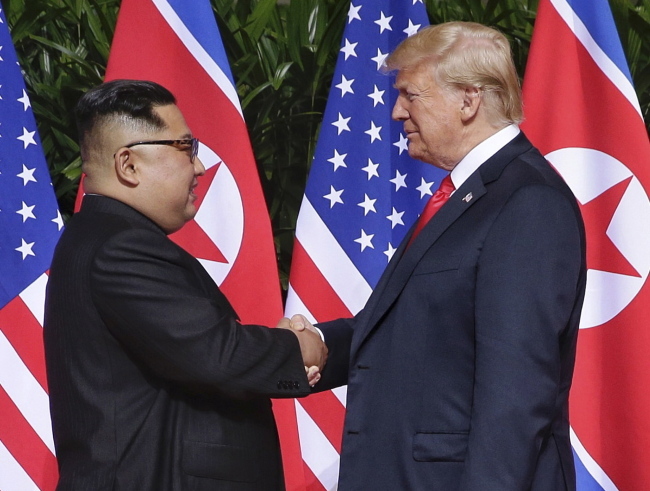 The two sides are expected to discuss Pyongyang’s denuclearization steps and how Washington might reward them, and to write the first draft of the summit agreement. Biegun told a South Korean delegation of lawmakers led by National Assembly Speaker Moon Hee-sang in Washington on Monday that while it would be difficult to resolve all the tricky issues with Pyongyang, it was possible if the two sides agreed on a timeline for denuclearization. High on the agenda this time is the North’s Yongbyon nuclear complex, which has facilities that produce both plutonium and uranium, key materials in nuclear weapons. After meeting with Kim in September, President Moon Jae-in told reporters that Kim had promised to dismantle the Yongbyon complex if the US were to take unspecified corresponding steps. In return for dismantling Yongbyon, which the North calls “the heart” of its nuclear program, it is believed that sanctions relief may be the thing that Pyongyang wants the most.